Read our diamond FAQs including our diamond guarantee, GIA Grading Reports, center stone shapes, and our commitment to sourcing diamonds ethically. All rings are handcrafted in the United States. MAY I BUY A SETTING WITHOUT BUYING A DIAMOND? Our engagement ring are made-to-order for each customer based on the specific and unique aspects of each center stone. Each unique engagement ring that contains a center diamond adheres to our Allurigem quality standards and will arrive with a GIA Grading Report. We are not able to provide semi-mounts at this time. IS MY DIAMOND LASER INSCRIBED? All of our center diamonds come with GIA Grading Reports and most include laser inscription on the girdle for easier identification. This characteristic will provide peace of mind when purchasing your diamond and for any future repair work. CAN MY RING BE SET WITH A LAB GROWN DIAMOND? Allurigem representatives can assist with the purchase of a Lab Grown Diamond. Please contact a representative at info@allurigem.com. WHAT IF I WOULD LIKE A DIFFERENT CENTER SHAPE THAN IS SHOWN? Our representatives are available to assist with modification to any setting, including different center shapes or sizes. Please give us a call at 877-909-6623 to discuss your needs. DO YOU HAVE A DIAMOND GUARANTEE? Yes. We guarantee that all natural center diamonds are genuine. Additionally each natural center diamond is accompanied by a GIA Grading Report and most even have a laser inscribed girdle for easy identification. All center diamonds available on the Allurigem website are 100% natural and untreated. 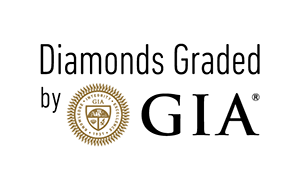 Each diamond is further accompanied by its GIA Grading Report for authentication. If you would like assistance purchasing a laser treated or clarity enhanced diamond please call and speak to a representative at 877-909-6623. DO YOU HAVE A GEMOLOGIST ON STAFF? Yes. Our Gemlab and Jewelry Shop are staffed GIA Accredited Jewelry Professionals, Master Jewelers and a GIA Graduate Gemologist. Allurigem is committed to sourcing our diamonds ethically and with integrity. In 2003, a coalition of governments, non-governmental organizations, and the diamond industry established the Kimberley Process Certification Scheme (KPCS) to control the export and import of rough diamonds to eliminate the trade in conflict diamonds. Today over 99% of diamonds in the marketplace are conflict free. We fully support and commit to adhering to the Kimberley Process throughout our business dealings. You may read more about the Kimberly Process at www.kimberleyprocess.com. In addition to ethically sourcing our diamond goods, each of our conflict free engagement rings are handcrafted in the United States, contributing to local economies in neighborhoods, cities and towns across America.